The country’s largest hydropower company, National Hydroelectric Power Corp. Ltd (NHPC), is the latest state-owned firm to be hit by an exodus of employees to private sector power firms. 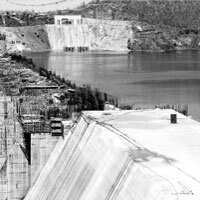 Restaffing issues: A file picture of Sardar Sarovar dam on the Narmada river. Hydropower projects need specialized technology and design compared with thermal power ones, so training new workers takes time. “We have seen a rush of people leaving this organization. As this is an engineering-driven company, it is very difficult to train engineers in a short span of time to restaff," said a senior NHPC executive who did not wish to be identified. Employees of public sector firms such as NHPC, Oil and Natural Gas Corp. Ltd (ONGC), and NTPC Ltd are sought after by private sector power firms for their expertise and experience. Salaries in the private sector are much higher than those in the public sector. Hydropower projects are more complex to construct, and need specialized technology, design as compared with thermal power projects. NHPC has around 2,000 engineers and expects more to leave. “We expect another 40 employees to quit by December this year, of which around 25 are engineers," the NHPC official added. Both he and an industry expert said that this could hurt the company. “Leave alone construction of projects, even running of existing projects has become difficult with one hydro project differing from another," the official added. “With the private sector companies entering the power sector, PSUs (public sector undertakings) such as NHPC have become the hub for getting skilled and trained engineers. With the private companies adding huge capacities in the hydro sector, this problem is bound to grow," added Abhishek Puri, an analyst with ASK Securities. NHPC has plans of becoming a 10,000MW company by 2012. It has an installed capacity of 4,200MW, and added 1,917MW during the 10th Plan period (2002-07). NHPC is currently engaged in the construction of 12 projects with a total installed capacity of 5,322MW. It ended 2006-07 with a net profit of Rs925 crore on revenues of Rs1,963 crore. Last year, ONGC lost 300 employees, NTPC 100, and Power Grid Corp. of India Ltd and Bharat Heavy Electricals Ltd, 50 each to private sector firms. To arrest this trend, public sector firms are lobbying the Centre to ask the Sixth Pay Commission (that decides on the compensation of government employees) to incorporate, for the first time, a differential pay structure favouring employees with technical expertise as reported by Mint on 16 July.